Some of the most common plastic surgeries are facial cosmetic surgeries that include eyelid surgery and brow lift surgery. In this post, we will discuss these two surgeries, including why you may benefit from them and what results you can expect. Do you have a furrowed forehead or brow or a sagging or low brow that makes you look tired, unhappy, or even angry when that’s not at all how you’re feeling? These undesirable characteristics can be caused by a number of things, including heredity, age, or overactive muscles and can be corrected with the help of a brow lift (also known as a forehead lift). A brow lift minimizes deep creases on the forehead and between the brows as well as repositioning a low or sagging brow to a more alert and youthful position. 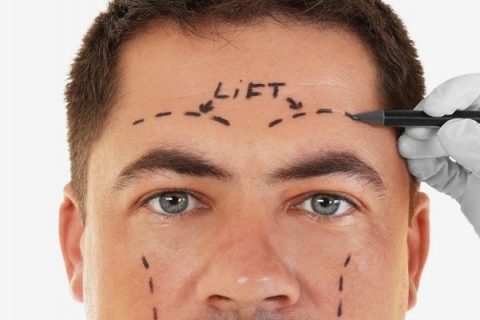 There are a number of techniques that can be used for a brow lift dependent on the individual patient’s goals and concerns. Local anesthesia with sedation or general anesthesia can be used with recovery to full function being five to seven days. Eyelid surgery, or blepharoplasty, can help to reverse the effects or aging and hereditary factors by removing excess skin and muscle and fatty tissue, if needed, from both or either the lower and upper eyelids. While eyelid surgery will not remove crow’s feet or lift sagging eyebrows but will improve drooping skin and bagginess around your eyes. Eyelid surgery is customizable and can be done in conjunction with other procedures, including brow lift. Eyelid surgery uses local anesthesia with sedation, is done on an outpatient basis, and you can expect your recovery to full function to be between five to seven days.